According to insurance industry research group LIMRA annuity sales had their best quarter in nearly 10 years with 62.1 billion in 4th quarter 2018 sales, up 22% year over year. 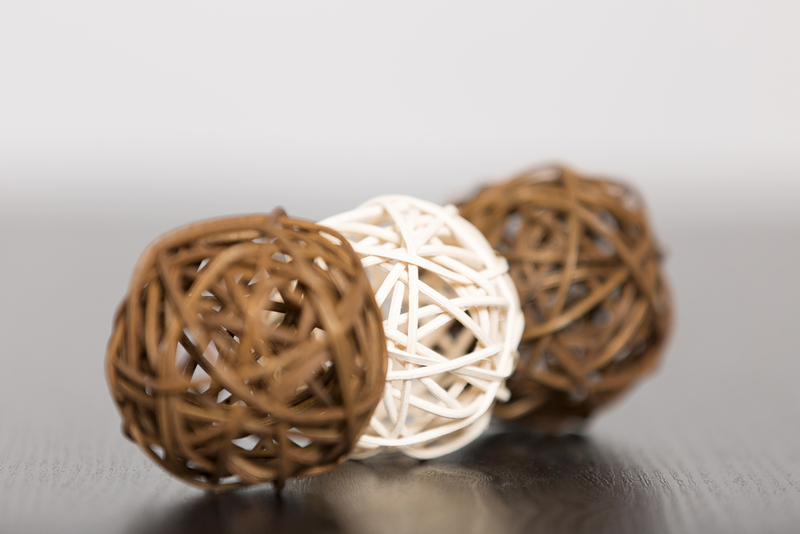 Annuities are best known for helping with retirement income, but they can also play a role in planning for long-term care by using some creative strategies and tax advantages. Annuities take many different flavors, and some types have benefited from rising sales more than others. As an example, according to a recent WSJ article, the classic SPIA (single premium immediate annuity, in which someone takes a lump sum to convert to a lifetime income stream) is not very popular in the US. In 2017 only 39,000 of these policies were sold, which represents only about 1% of retiring Americans. On the other hand products like multi-year fixed rate annuities (MYGA's) experienced a lot of growth as an alternative to Bank CD's. In addition, a volatile and lower stock market in 2018 had many clients receptive to the idea of Indexed annuities which to help limit the stock market downsides. Annuities can be a great way to save. But, thanks to laws like the Pension Protection Act (PPA) they can also help out with funding long-term care insurance plans; including traditional, hybrid life/LTC and Annuity/LTC plans. The PPA allows for the use of 1035 (tax-free exchanges) from non-qualified deferred annuities to pay traditional LTC Insurance premiums. When these exchange distributions occur from the annuity they are not-taxable as income but just reduce the tax basis in the contract. With Tax-Qualified LTC Insurance, benefits are received tax free. Thus, thanks to the PPA, you can change taxable annuity income into tax-free benefits. Annuity holders can either do a partial exchange for annual pay LTC policies or conduct a total exchange for single pay LTC premiums, such as those offered by National Guardian Life. IMPORTANT: before you try this strategy, check with both the annuity carrier and the LTC carrier to see if they can facilitate the 1035 exchanges necessary. Want to dig deeper on this topic? National Guardian Life offers a 1035 guide here and financial writer Michael Kitces has great blog post here. At first glance it doesn't make a lot of sense to use an annuity to purchase a life/LTC plans - typically people buy hybrid policies through a single cash lump sum or recurring premiums. Also, people who have existing life policies can 1035 exchange into a hybrid life/ltc policy as well. One type of buyer, however, may benefit by using an annuity to fund a life/ltc plan. This is someone who is over 59 1/2 years of age and has a substantial amount of their overall worth in qualified assets such as a 401(k). In the example below from Nationwide a female who is 60 in good health wants to put together a plan for long-term care. They would prefer a linked life/ltc plan because of the premium guarantees and the fact the policies aren't "use it or lose it" - they want certainty. The client applies for a 10-pay linked life/ltc plan, but instead of paying the premiums out of current income she purchases an IRA SPIA with a 10-year certain term using $100,000 of qualified dollars. That premium funds a 10-pay life/ltc policy that offers up to $417,836 and 6 years of LTC benefits. One America offers a solution similar to Nationwide called AssetCare III, except their plan funds a 20-pay policy. 3. A tax-qualified long-term care extension of benefit rider on an annuity. 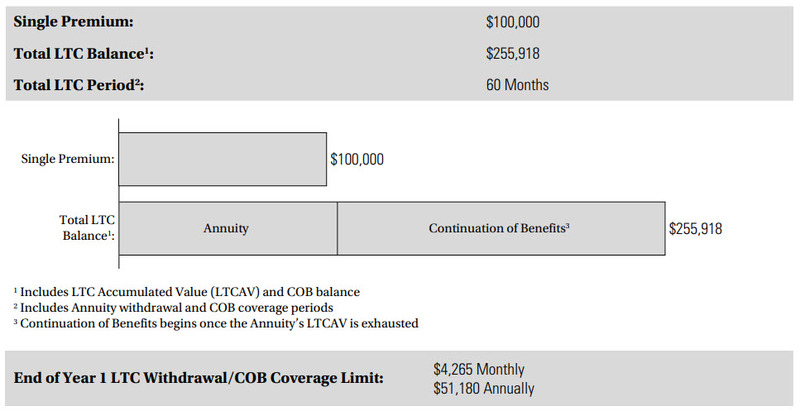 Bill, a 65 year old male, purchases a non-qualified annuity/ltc plan. If Bill needed long-term care in the future, he could accelerate the account value over 24 months. If he uses the entire value a continuation of benefit provision (COB) would allow him to get an additional three years of coverage. Bill could fund the premium through either cash or a 1035 exchange from an existing non-qualified annuity. Thanks to the Pension Protection Act, using an existing annuity and doing a 1035 exchange is a great idea because the LTC benefits can be tax-free. 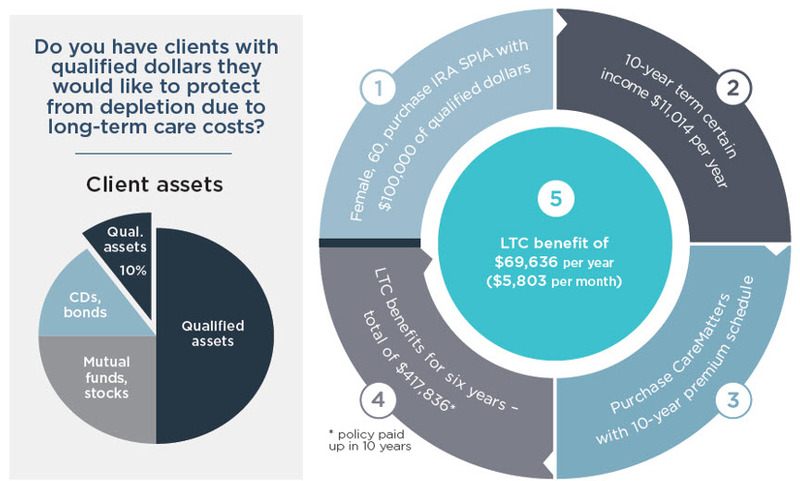 Because these products can provide significant LTC value, they are medically underwritten, so applicants who are typically automatic declines for long-term care (such as memory loss) are not eligible for coverage. However, the underwriting is more liberal than underwriting for traditional LTC or linked life/ltc plans, so it may be a solution for people who may find it difficult to obtain LTC coverage. Combination annuity/ltc plans with true riders are available from a handful of companies, so make sure you don't confuse plans with medically underwritten benefits from annuities that may offer a little higher payout for LTC needs. For a deeper dive into this subject, check out this 30 minute webinar with guests from Nationwide and OneAmerica discussing the implementation of these plans.